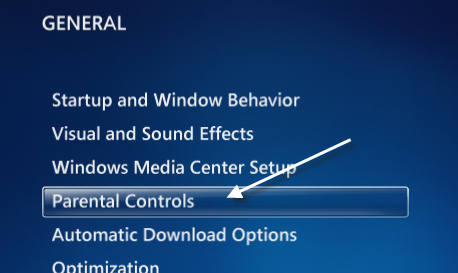 If you use Windows Media Center to control all your TV shows, movies and DVDs, you likely have files that are not suitable for your children. 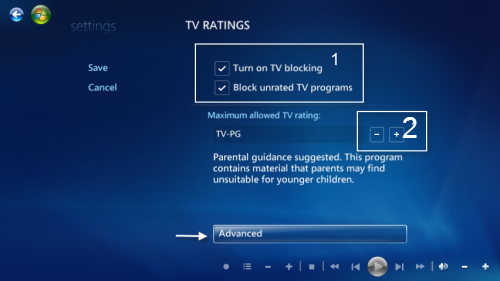 Here is how to set up and use the parental control feature to keep unsuitable material out of your children’s view. 2. 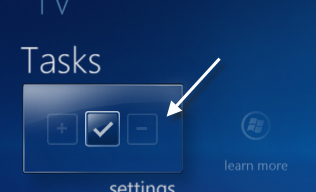 Go to Tasks -> Settings. 4. Go to Parental Controls. 5. 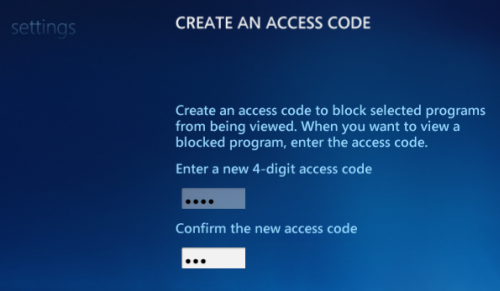 Provide the new 4-digit code twice in the fields. 6. 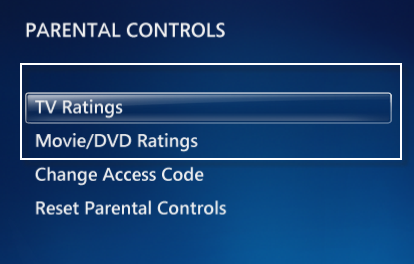 Now, you can control the TV Ratings and the Movie/DVD Ratings. 1. Click on TV Ratings. 2. To be able to control the ratings, check on Turn on TV blocking (you can also check Block unrated TV programs), you the – and + button to change Maximum allowed TV rating. If you want the Rating to be more specific, click Advanced. 3. 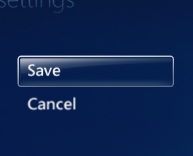 Hit Save to keep the settings. 2. Check Turn on movie blocking (you can also check Block unrated movies), use the – and + button to change Maximum allowed movie rating.